From sleepy islands and dynamic cities to rugged mountains and spectacular beaches, Greece is a country of unparalleled beauty. Discover the coolest Athens neighbourhoods, explore awe-inspiring Classical ruins or stay up late eating meze in a taverna overflowing with locals. 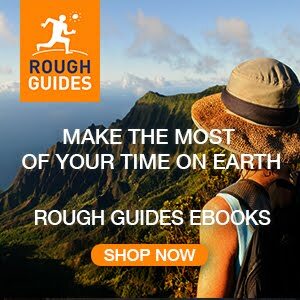 Updated by experts and packed with information on everything from Greek mythology to ferry routes, this comprehensive fifteenth edition of the Rough Guide makes the perfect travelling companion. Despite the media battering its economic reputation has endured, Greece remains a premier-league travel destination. Its incredible historic sites span four millennia, encompassing both the legendary and the obscure. Its convoluted coastline is punctuated by superb beaches, while its mountains interior urges you to dust off your hiking boots and explore. Yet perhaps its greatest riches are the islands, ranging from backwaters where the boat calls twice a week to resorts as cosmopolitan as any in the Mediterranean. 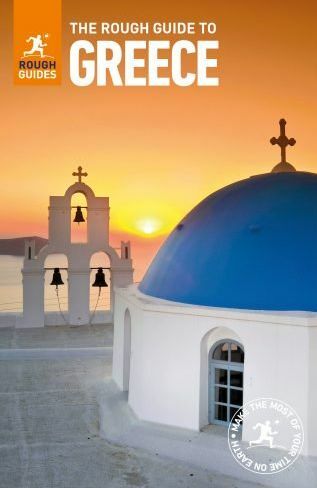 Whether you plan to join in the Easter celebrations, kick-back on the idyllic island of Santoríni or explore the ruins at Delphi, The Rough Guide to Greece will show you the ideal places to sleep, eat, drink, shop and visit along the way. The authors have also chosen their favorite highlights with Olymbos, Thrace, the Antikythira Mechanism exhibit, Hania, Osios Loukas monastery, Finikounda. – Full-colour maps throughout – navigate Athens’ bazaar area or plan your island-hopping route without needing to get online. – Things not to miss – Rough Guides’ rundown of Greece’s best sights and experiences. – Areas covered include: Athens, the Peloponnese, the Pelion peninsula, the Píndhos Mountains, Thessaloníki, Mount Olympus, Macedonia, the Argo-Saronic Islands, the Cyclades, Crete, the Dodecanese, the East and North Aegean islands, the Sporades and Évvia, the Ionian Islands. – Attractions include: the Acropolis, the Parthenon, Tower of the Winds, Temple of Poseidon, Stavros Niarchos Cultural Centre, National Archeological Museum, Mycenae, Epidaurus, Olympia, Delphi, the Metéora, Víkos Gorge, Mount Olympus, Préspa lakes, Mount Athos, Temple of Aphaea, Delos, Caldera of Santoríni, Knossós, Samariá Gorge, Lindos Acropolis, National Marine Park of Alónissos-Northern Sporades, and more. – Background information – a Contexts chapter devoted to history, archeology, wildlife, music and books, plus a handy language section and glossary.